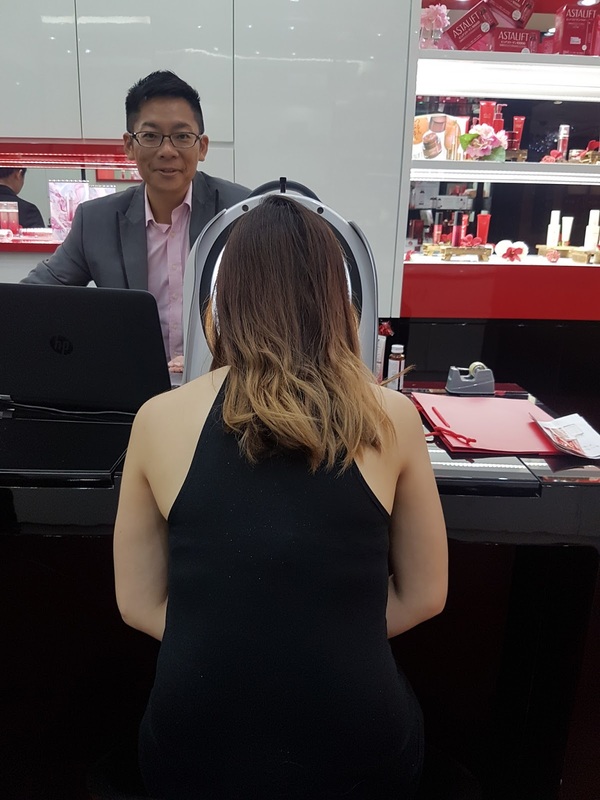 I was recently invited to ASTALIFT at their Wisma outlet to learn more about their new launch product as well as ASTALIFT’s third and largest boutique recently opened in NEX, the largest mall in the Northeast region of Singapore ii. Spanning 688 square feet, this shop features the brand's signature red hue to signify the vibrancy and richness of ASTALIFT iii. Who is Astalift and FUJIFILM Asia Pacific Pte Ltd? FUJIFILM Asia Pacific, a wholly-owned subsidiary of FUJIFILM Corporation, Japan, is bestknown for all FUJIFILM products such as photo imaging and digital products, data storage media, graphic arts, medical and life science products for more than 20 years in Singapore. Applying its propriety knowledge of nanotechnology for exposing and colour developing in film, FUJIFILM created Astalift, an award-winning brand that offers carefully researched skincare and supplement products with proven efficacy. You must be thinking why Fujifilm products cosmetic. Their aim was to improve the quality of the film and make the beautiful picture. 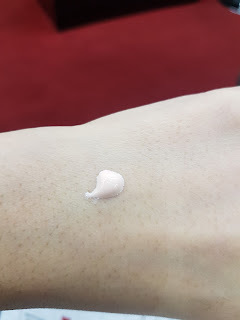 This 80 years research and development was connected to make “beautiful skin”. Their results are independently tested and publish in journal which so far no other beauty company has ever achieve yet. 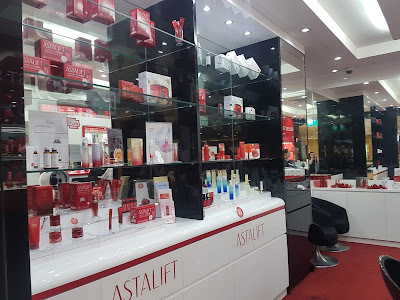 Once I arrived the beautiful red theme outlet at Wisma, I was greeted by the friendly staff there and shortly after, Jason their ASTRALIFT trainer came and he started chatting and Introducing me ASTALIFT’s latest product which is the In-focus Cellactive Serum. 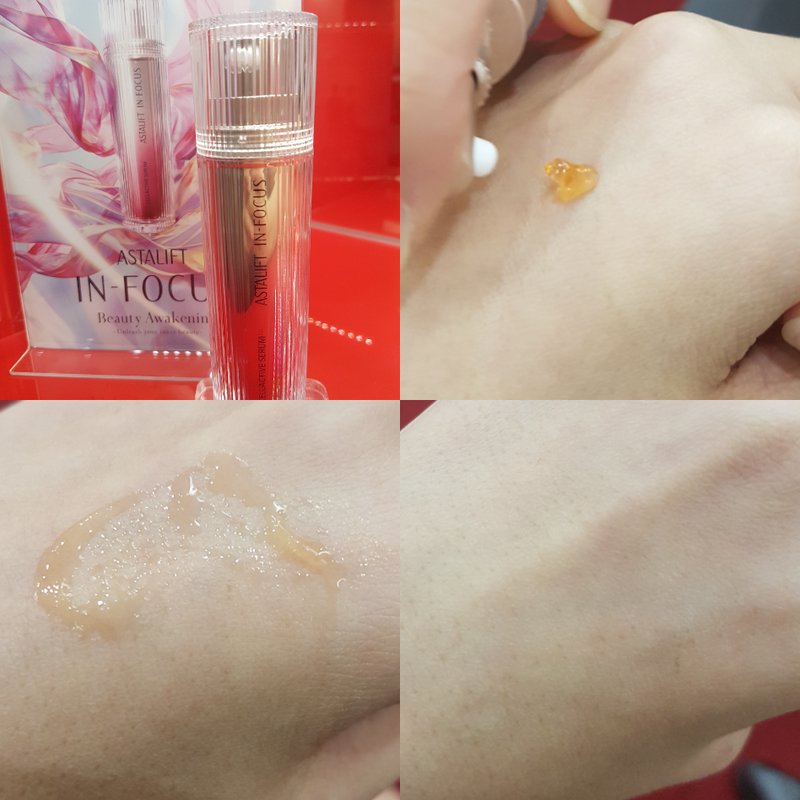 Jason explained to me the key features of In-Focus Cellactive Serum. 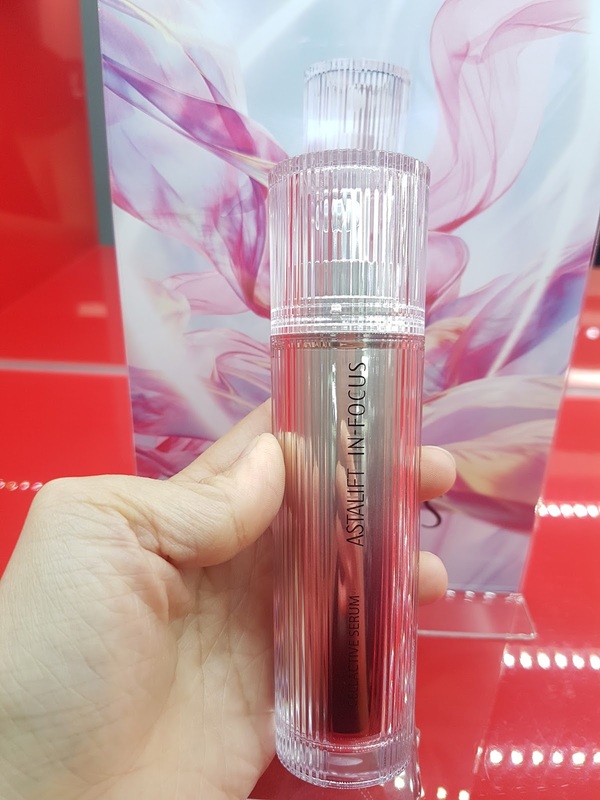 The In-Focus Cellactive Serum main ingredient is using Ion Sensing Technology which allows immediate penetration of serum as it glides on the skin. What makes it unique is that there are many helpful benefits. Over time, rejuvenated stem cells repair and regenerate cells and tissues, restoring the skin’s ability to efficiently absorb nourishment and send signals to the body to slow down the signs of ageing while improving skin tone, radiance and softness. Two ingredients – Nano Astaxanthin CP+ and Boswellia Serrata – work together as an energiser to rejuvenate stem cells. Nano Astaxanthin CP+ protects stem cells from the effects of ageing while Boswellia Serrata activates them. One thing I like is the texture of this unique gel. It melts into my skin, as it transform from a gel texture to lightweight oil when dried. I heard it’s to act as a barrier and lock in moisture. I also love the soothing therapeutic scent of Bergamot, Rose, Jasmine & Sandalwood which is says to relieve stress. Look at the amazing texture. Oh it's natural brown in color due to the micro algae which are known to protect cell. This high-functioning transversal serum has a multitude of benefits for all skin types even sensitive’s skin. It works well with any skin care regimen in boosting skin health by restoring stem cells to their full potential. How to use it? This will be use in last steps of your skincare regime just before moisturizer and sunscreen. Oh yes you are able to apply this under your eye area too. Next I was introduce to the Renewal Jelly Aquarysta. I was told that this is their star product. 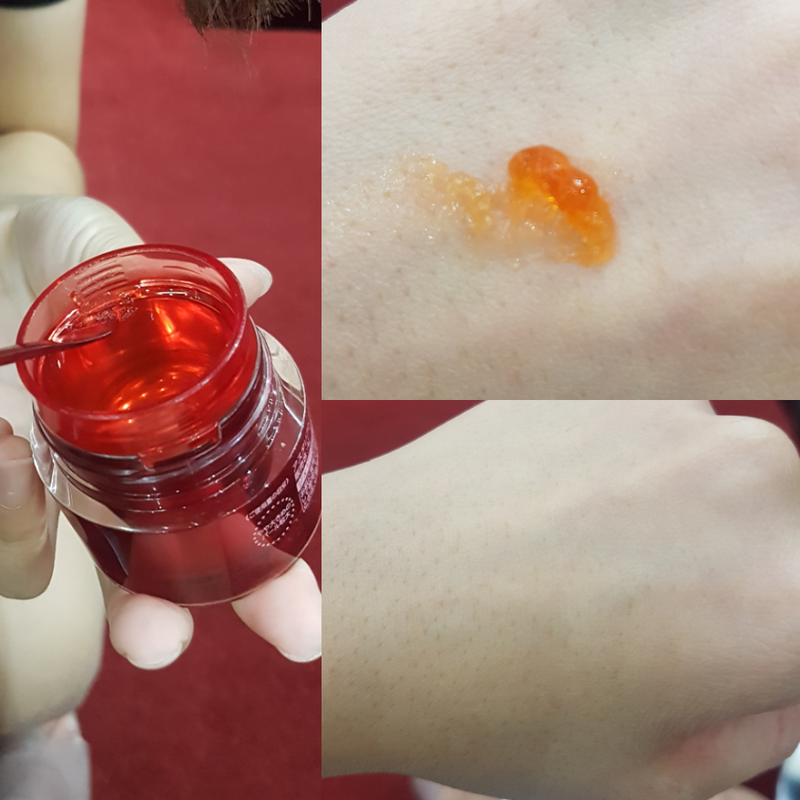 Jelly Aquarysta is a unique anti-ageing skincare product composed of an effective mix of collagen and moisturizer delivering a light textured facial treatment that ensures fast absorption for glowing skin. 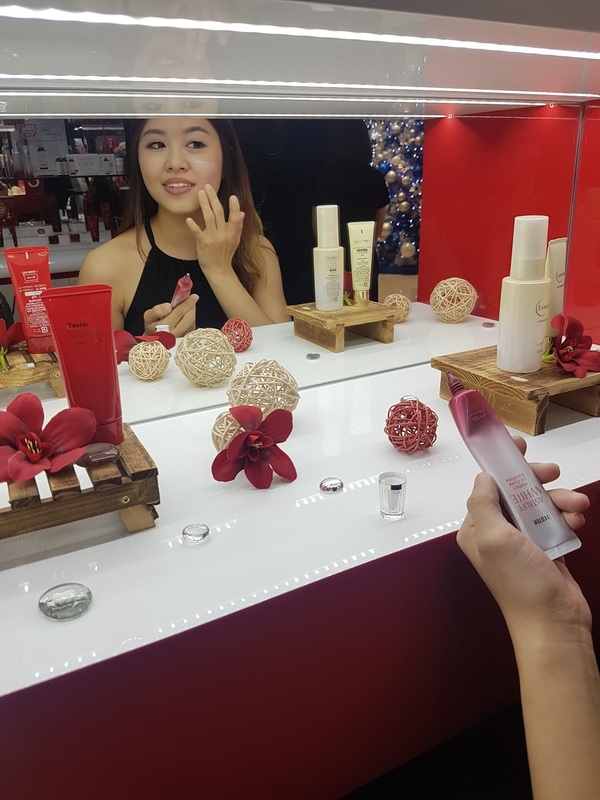 It also helps better penetration of your other skincare product with the key ingredients of Collagen, Human-type nano-Ceramide ,Nano-Astaxanthin, Nano-Lycopene and Highly-permeable Resveratrol. Same as the In- Focus Cellactive Serume, the Jelly Aquarysta are as easy to absorb and non oily feeling at all! Formulated with D-UV Guard to provide unprecedented high level of UV skin damaging UVA rays, thereby preventing age spots and freckles. 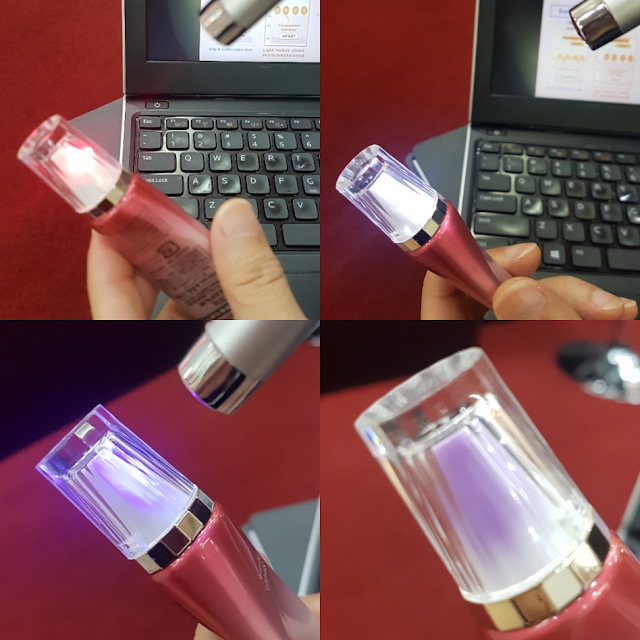 The light pinkish color also doubles as beauty essence and makeup base to enhance radiance and help makeup look great all day long. What's fascinating is that it includes a “UV Sensor Cap”, which changes its color when exposed to UV rays containing the “Deep UVA”, so that users can visibly check the presence of invisible UV rays and this will remind them "It's time to apply your sunscreen beautiful" . 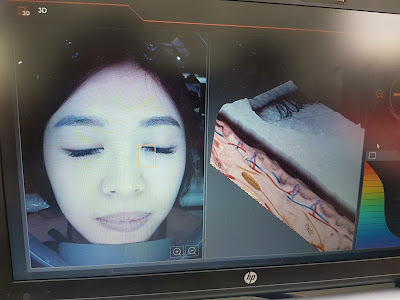 Look at the test which was done on the spot! Can you see the cap turned purple after exposure of UV ray? 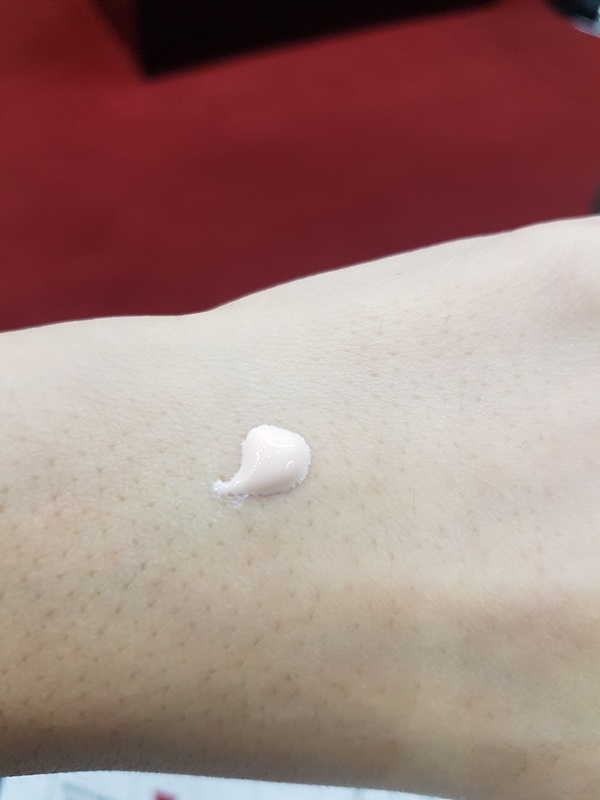 The pinkish color can be used as makeup based. Also the texture are so light that you can even apply over existing makeup. Apply the sunscreen on half of my face before the test. I'm really wow by this result! Can you see the white area? That's after applying Astalift sunscreen. It literally bounce of white-light. 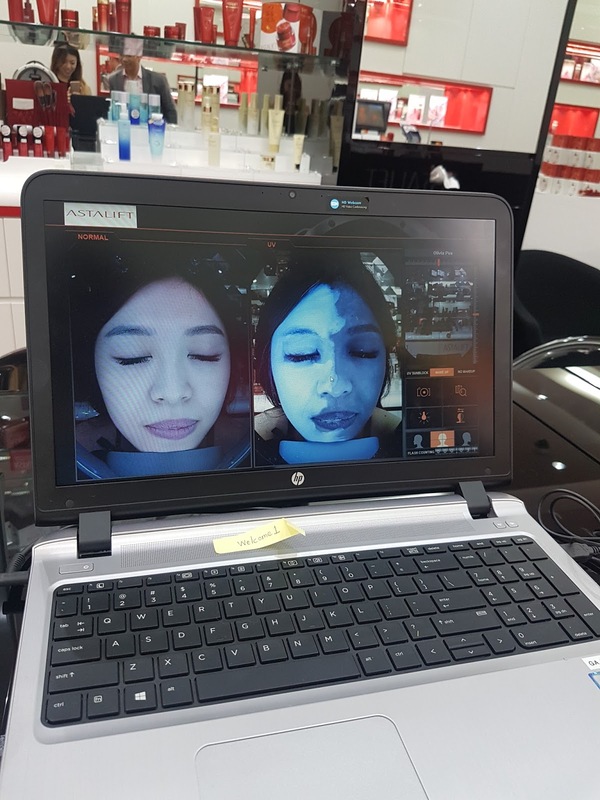 The machine are able to even show your skin in 3D!!! This are the products recommended for me. I'm really glad that I spend a whole 2hrs learning so much and found something which are really interesting. 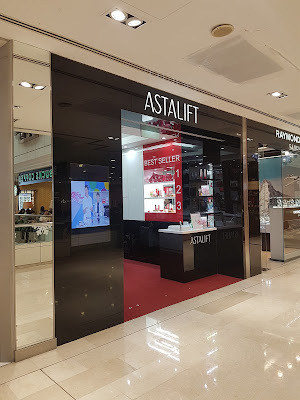 Although to say, ASTALIFT products are not the cheapest, but they are by far the best products which I have seen that can see results in just few days use. I will definitely invest in it in later stage when I have enough to sustain! For now, just for my reader and friends! Receive a 3-day sample at any of the following outlets just by quoting my name "Olivia"
Disclaimer: Astalift media kit was provided for personal review purposes only. All reviews are 100% honest and based on my personal experience. The price is actually still within my budget. But I will need to do some more research before trying this out. The products look so good. Too bad I am not in Singapore, if not I would redeem the sample. Totally a good product that i should spread more to my girl frirends! 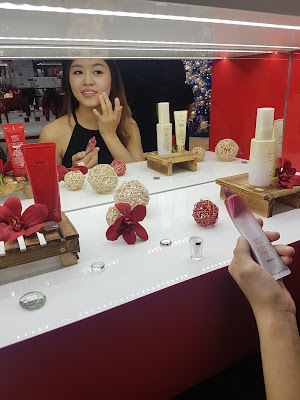 Wow Astalift products look great, I would love to check and try this. Heard about this brand but haven't try before. Seem promising. 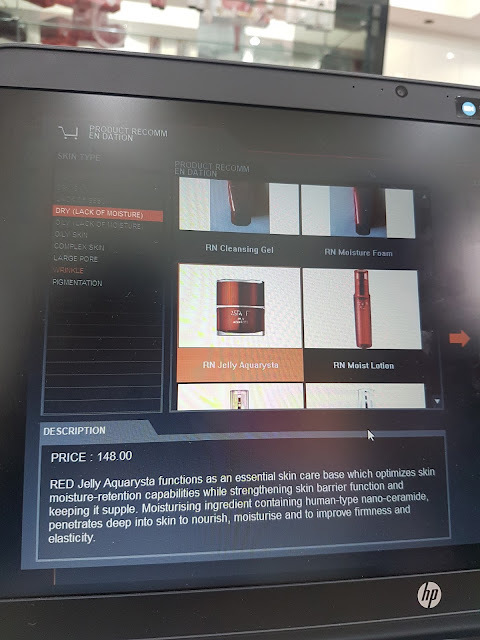 The product looks promising! I have heard alot of good feedback from these brand. Still yet to try their product. This brand is really good and effective! I try their products before, I love the texture of the jelly texture! I heard about this brand before and it seems great. Thanks for your sharing as ur write p gave me more confident to try. 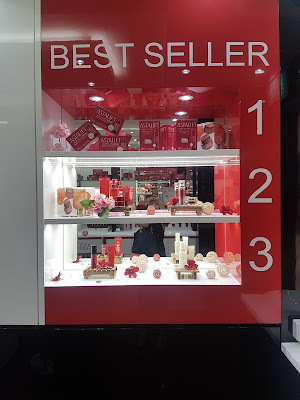 It's kinda difficult to link Fujifilm with skincare products. I have heard of the brand before but haven't got the opportunity to personally experience it.